Here at RACHNA ENTERPRISES, We welcome bulk Orders from the Institutional Sector– Hotel & Hospitality Industries, Corporate, International Food Chains, Caterers and Multiplexes & Service Center etc. Our products are scientifically designed to complement the carefully built Corporate Image. We can also design Products as per your specifications & Requirements. Our past experience and present association clearly indicates that we are masters in catering the needs and requirements of Institutional Sector. 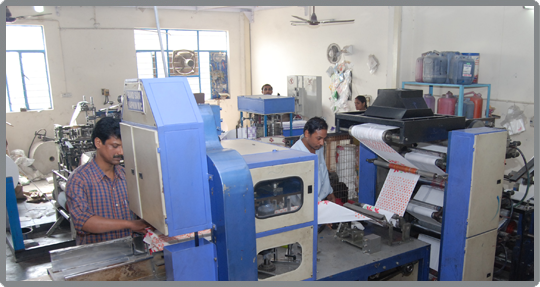 We have the backend conversion unit loaded with most modern facilities and hence we are capable of offering products made from the state of art machines with latest technology in a very hygienic environment.